Looking for a reliable way to learn how to program on your own, without being overwhelmed by confusing concepts? 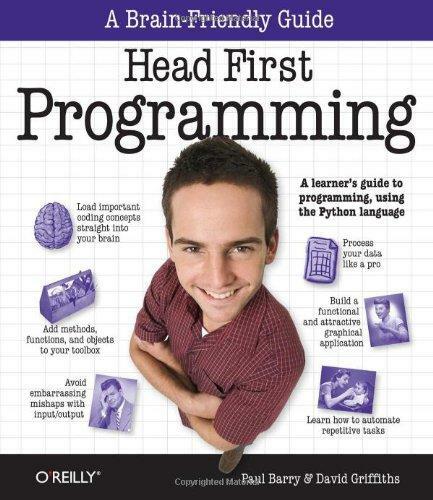 Head First Programming introduces the core concepts of writing computer programs -- variables, decisions, loops, functions, and objects -- which apply regardless of the programming language. This book offers concrete examples and exercises in the dynamic and versatile Python language to demonstrate and reinforce these concepts. Learn the basic tools to start writing the programs that interest you, and get a better understanding of what software can (and cannot) do. When you're finished, you'll have the necessary foundation to learn any programming language or tackle any software project you choose.